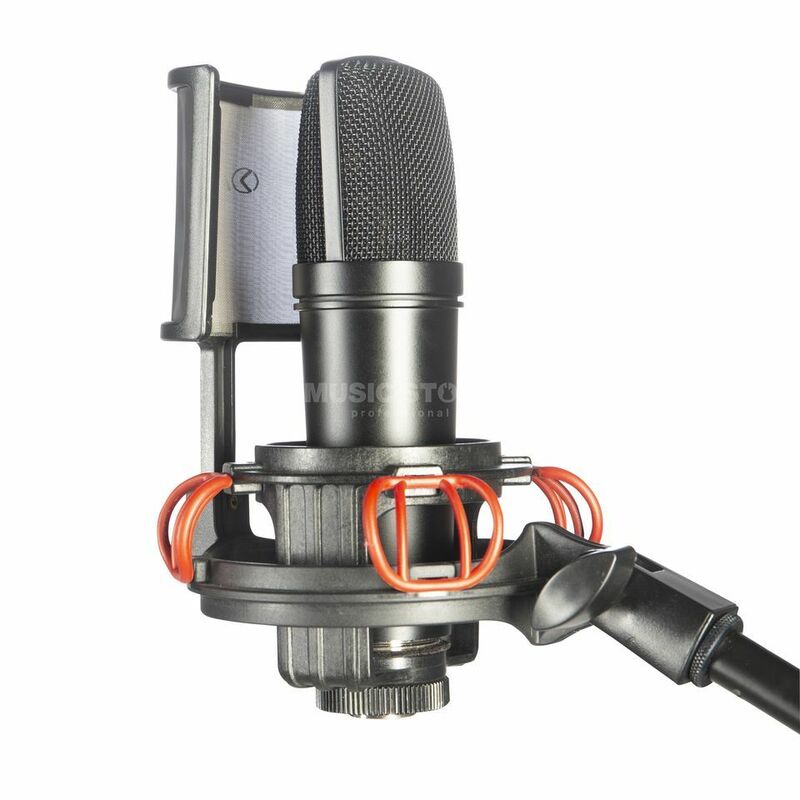 The FAME Vocal Kit is the optimal solution for beginners in the recording sector who do not want to do without quality. Thanks to the C05 FET condenser microphone, an elastic holder with pop protection and the included XLR cable, professional recordings can be made anytime and anywhere - whether instrument or voice. The result: unobtrusive, silky highs paired with a robust deep centre foundation, suitable for every mix. And to protect the microphone from dust when not in use, a convenient protective bag is included. The C05 from the Fame studio series is an uncompromisingly high-quality large diaphragm condenser microphone and sets new standards in its price class. Years of research have resulted in a circuit design that translates the successful concept of the FET amplification circuit into a modern and low-noise solution. Your instrumental and vocal recordings will not only sound good soloed, but will also fit perfectly into the mix. Such a lot of power and performance for such a small budget was hardly possible until now: the Fame C05 keeps what others promise.